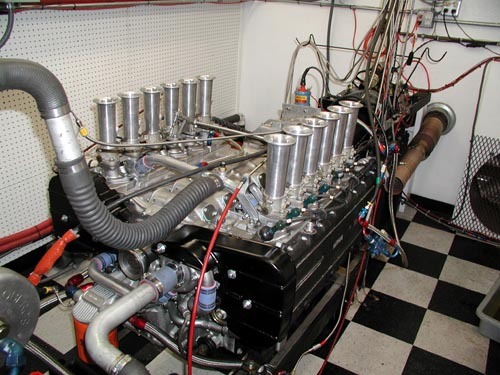 We built this engine from an actual 512 BBLM core engine. Considerable time was spent doing engine simulation work and special designing to come up with a solid modification package for the BBLM engine. Cylinder head porting, camshaft profile, piston design and special exhaust headers were all a part of the success of this championship-winning engine. The internals were extensively lightened with titanium valves, retainers, connecting rods, aluminum flywheel and racing clutch. 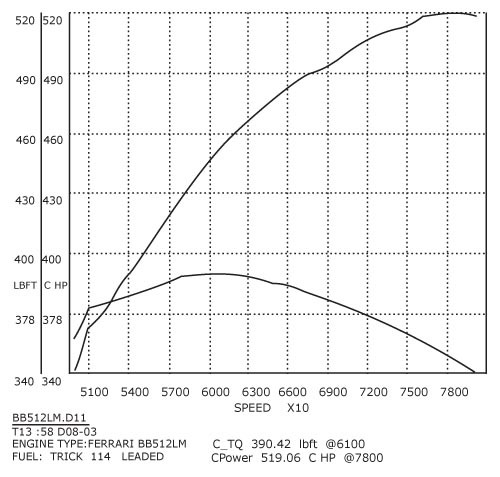 For comparison the factory quoted 480 HP at 7200 rpm.